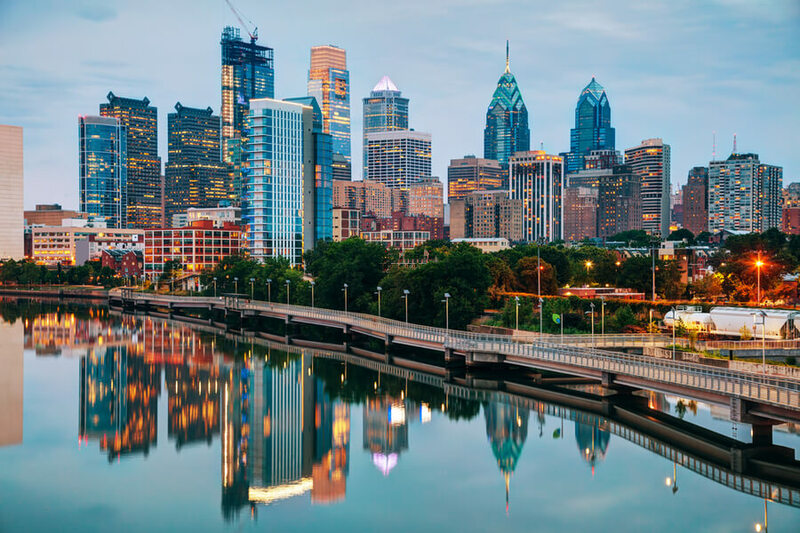 A 2017 census population of about 1.6 million residents makes Philadelphia the 6th largest city in the USA, and the largest in the state of Pennsylvania. The problem of substance abuse has continued to grow in stature since the city reportedly recorded over 900 overdose deaths in the year 2016. That number rose to over 1,200 in the following year. Also according to these reports, drug overdose is the most common cause of death for Philly residents between the ages of 25 to 44. All of this leads to a question about how to help patients seeking drug or alcohol rehab in Philadelphia. There has been some backlash in the past about the insufficient number of rehabilitation and treatment centers for addicts in the area. 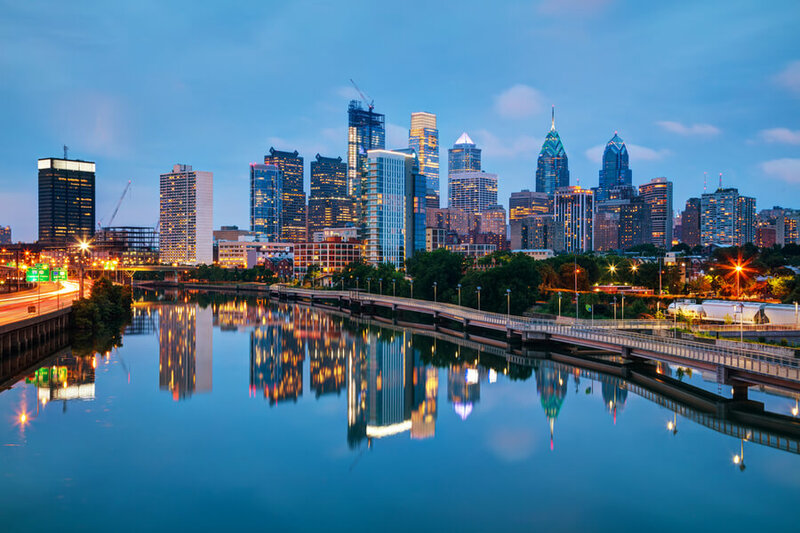 With that in mind, this review seeks to take a closer look at the treatment options currently available for addicts, and how many drug treatment centers in Philadelphia are available to provide the right type of healthcare. Substance abuse is a serious risk to physical and mental health, both to the abuser and the people around them. If you need assistance on how to get help to break the addiction, please call (888)-459-5511. You will get a chance to speak with a skilled medical professional who can provide the information and advice that you may need. 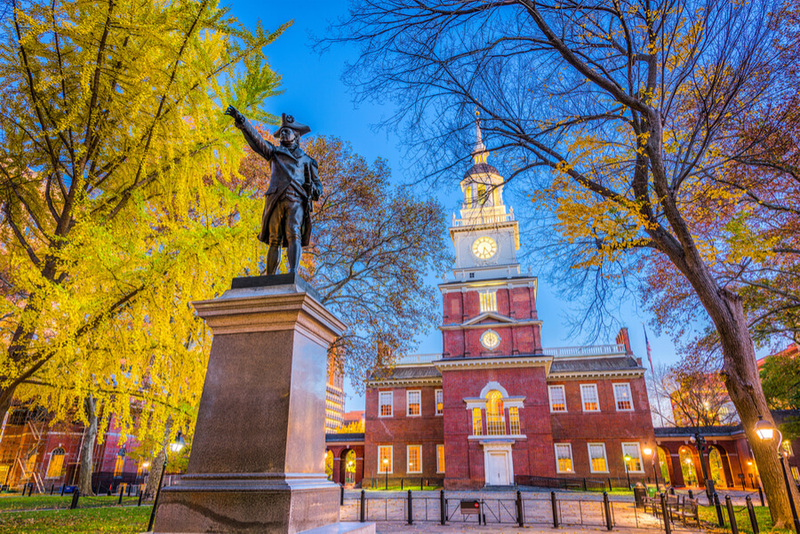 How many active drug treatment centers are in Philadelphia, Pennsylvania? Which treatment options do Philadelphia centers offer to prospective patients? How does a patient know which rehabilitation center is most suitable for their condition? What substances are the most frequently abused in the city of Philadelphia, PA? How Many Philadelphia Rehab Centers Are Available? SAMHSA treatment center locator makes it easy to find the best rehab hospitals in states all over the USA. The search tool has parameters for three types of facilities. Two of these are key to the research in this section. The first is the number of centers dedicated to substance abuse only (SA centers) and the second filters the centers to show those that treat both substance abuse and mental health patients (SA & MH centers). Philadelphia drug rehab centers have grown in number over the past couple of years, working on putting to bed the point of view that the city could do a lot better in that area. The number of SA treatment centers at the moment stands at 91 while the number of SA & MH centers stands at 160. 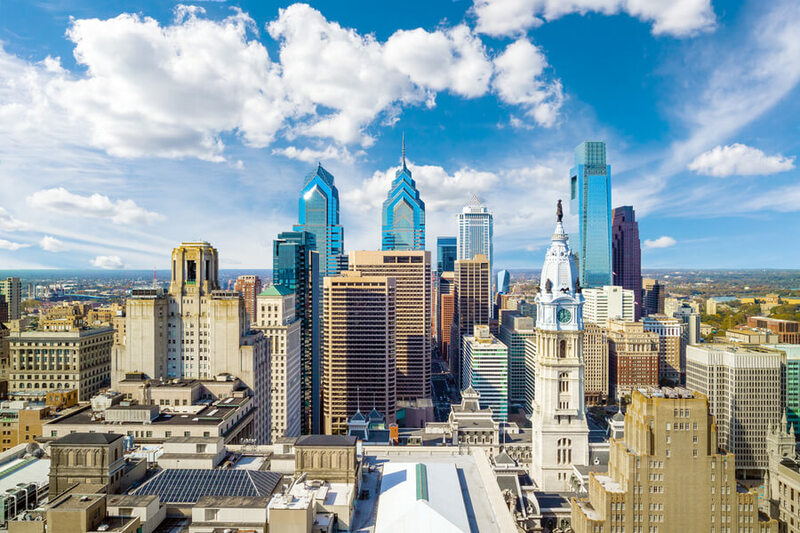 The following are some of the common addictive substances that patients can seek treatment for in Philadelphia, PA.
A patient seeking addiction treatment has the option to go one of inpatient, residential or outpatient rehab in Philadelphia. Both SA centers and SA & MH centers in Philadelphia offer all three of these types of patient care. The 91 available SA treatment centers include 8 with inpatient care services, 34 with residential care services and 64 with outpatient care services. The SA & MH centers include 23 with inpatient care services, 41 with residential care services and 119 with outpatient care services. The first consideration for some people may be financial restrictions stopping them from checking into one of these many rehabs. On that note, it is important to point out the fact that there are centers that offer free drug rehab in Philadelphia. Some of these are the results of efforts in the form of funding from the government to provide proper healthcare for as many citizens as possible. A patient that has a very limited budget may check out one of these, or any of the treatment centers that use the funding of Medicaid in Philadelphia. It is crucial to stress that any addict looking to go through the process of rehab the proper way should consider detoxifying first. The process of detoxification will help the body through a form of cleansing, preparing it for the long road to recovery. Detoxifying first will also help the patient to deal better with the symptoms of withdrawal that are bound to come with trying to wean off any addictive substance. A visit to any of the detox centers in Philadelphia will provide more information about this. Halfway houses are recovery houses in Philadelphia that serve as temporary living quarters for recovering addicts. They learn to live under the supervision and within the rules among other recovering addicts in preparation for going back into society after their rehab is complete. The support groups do not necessarily have to make use of venues built specifically for the purpose. They make use of spaces at recreational centers in Philadelphia where they can set up regular meetings after an agreement with the authorities. Addiction Type: some centers are known specifically for their success in treating particular addictions. These “specialized” centers should be given priority if the addiction is one of those they specialize in. Severity: Severe addictions are unlikely to be monitored properly at centers that only offer outpatient care. Mild addictions hardly call for inpatient or residential care. The patient should still seek advice from qualified medical personnel, though. Treatment Options: a little bit of research on the part of the patient will provide vital information about what to expect in form of the addiction treatment approach employed by each center. Testimonies on the Internet from previous patients will help too. Post-Rehab Care: if the patent is interested in post-rehab programs, some centers should hold priority over others. If you or a loved one needs information or help with your substance addiction, contact (888)-459-5511 to speak to a skilled professional. Your call will be private and confidential. NB: The following statistics are derived from this report from the National Drug Early Warning System. Fentanyl Abuse in Philadelphia, PA. The city has been struggling with opioids abuse for a while now, but recent developments have seen Fentanyl, a synthetic opioid become the deadliest substance in Philadelphia. From 2007 to 2013, the substance remained fairly dismissable in drug overdose deaths when it was responsible for an average of 5.6% overdose deaths. By 2016, this figure had risen alarmingly to 45.5%. 413 people died from fentanyl-related drug overdose in that year. This figure increased further to 846 in 2017, almost as much as the total number of drug overdose deaths in the previous year, which was 907. Fentanyl is undoubtedly the deadliest drug in the city at the moment. Before Fentanyl came into the picture, Heroin was the deadliest drug in the city. Right now, it remains very deadly and still commonly abused among the residents of Philadelphia. It also remains the drug responsible for the most treatment admissions, with 36.7% of admissions in 2016 turning out to be heroin-related. This number was up from the reported 25.1% in the previous year. Also in 2016, heroin overdose was responsible for the deaths of 413 persons in Philadelphia. Most of these people were male, and only 28.6% of the recorded deaths were female. Marijuana has consistently remained one of the most commonly abused substances in Philadelphia in recent years. It was responsible for 22.6% of all drug-related treatment admissions in 2015, and it was responsible for 18.2% of these in the following year. Both times, it ranked third for drugs with the highest number of treatment admissions in the city. Interestingly, it is noticeable that most of these treatment admissions involved African-American patients. They made up to 70.6% of the total number of primary marijuana-related treatment admissions in 2016, compared to 16.3% for Hispanics, 10.9% for white people and the remaining 2.2% for other races. Most of the admissions also involved male patients – up to 86.4% of primary treatment admissions in that year.